To provide an enhanced record of lithosphere cooling, a large component of my research has worked to develop new analytical and numerical methods to take advantage of the U-Pb system’s dual decay scheme, where parent isotopes 238U and 235U decay at different rates to daughter isotopes 206Pb and 207Pb, respectively. By coupling this dual isotopic system with diffusion’s length scale dependency, which causes different crystal sizes to retain Pb over different absolute time scales, I have been able to demonstrate that a unique time temperature path for a sample can be determined from dating a range of crystal sizes, with each crystal containing its own unique daughter isotopic composition (Blackburn et al., 2011). This technique’s ability to uniquely measure cooling rates can be applied towards solving a number of different problems in the Earth sciences including measuring the time-scales of cooling for the continental lithosphere. Photo: Concordia diagram showing significant U-Pb discorodance in lower crustal rutile. Degree of discordance has been linked to cooling rate through the Pb partial retention zone (see Blackburn et al., 2011). Xenoliths from multiple depths (25-55km) record the slow relaxation of the continental crust's geothermal gradient. Recent modeling and isotopic studies have shown promising results for harnessing the use of disequilibria in the 238U decay chain generated by the physical reduction in particle size and the ejected loss of intermediate daughter products. 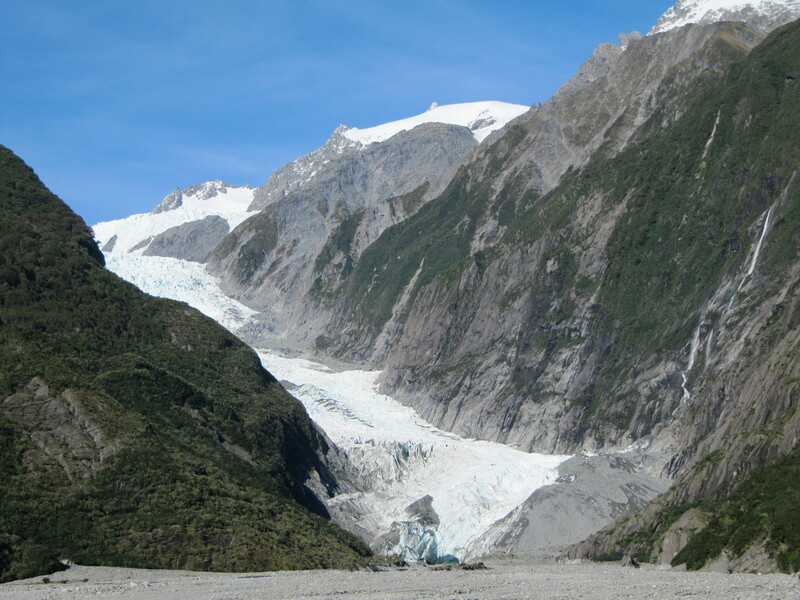 It has been speculated that this could be exploited as a tool used to place time constraints, or “comminution ages” on the formation of fine particles via glacial processes on timescales of 1 Ma. The goals of Blackburn’s efforts are to test and refine this technique. Measurement of intermediate daughter products 230Th, and 226Ra can be used to test whether physical ejection is occurring, and more importantly can provide the means to accurately model the particle size and thus improve the accuracy of comminution dates. Blackburn and UCSC colleagues have begun sampling the Pleistocene glacial moraines from the Long Valley, Eastern Sierra region. 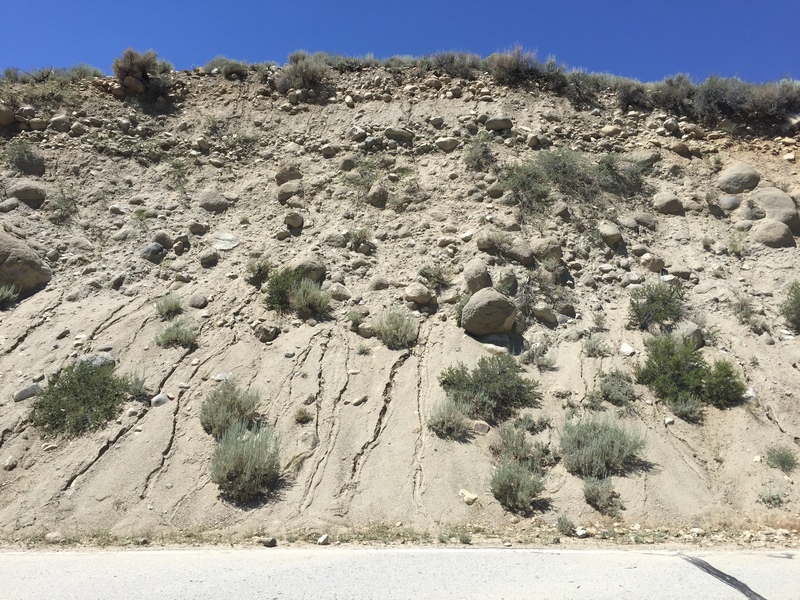 Intercalation with well-dated volcanics (note Sherwin Till beneath Bishop tuff, photo) makes this an ideal site for testing a new geochronologic tool. The accretion and disruption history of ordinary chondrite parent bodies: A working timeline for the history of ordinary chondrites (OCs) includes chondrule formation as early as 1-2 Ma after our Solar System’s earliest forming solids, followed by rapid accretion into bodies that were small and fast cooling. There remains conflict between metallographic cooling rate and radioisotopic thermochronometric data over the size and lifetime of the chondrite parent bodies as well as the timing and importance of impact processing. Here we attempt to resolve these records by contributing new TIMS 207Pb-206Pb data obtained on phosphates from 10 previously unstudied OCs. These new and previously published 207Pb-206Pb phosphate and metallographic data, are interpreted with a series of numerical models designed to simulate the thermal, 207Pb-206Pb in phosphate and Ni-in-metal evolution for a chondrite parent body that either remains intact or is disrupted by impact. Numerical tests and chondrite data from a range of shock stages show that a record of impact processing from the Pb-phosphate system is biased towards early events that occur prior to system closure and that age resetting by high-temperature, short-lived heating is an unlikely occurrence. New phosphate 207Pb-206Pb dates for L5/L6 span from 4534-4535 Ma/4505-4515 Ma, a newly analyzed H6 yields a range between 4500-4512 Ma that is consistent with previous results on other H6 chondrites. All of the Type 4 samples studied here (H, L, LL) produced young dates (4500-4518 Ma). Both previously published and new 207Pb-206Pb phosphate data from H5-6/L5-6 are consistent with late accretion (2.05-2.25 Ma) in a 260-300 km diameter body. Further, these data consistently show that H6/L6s cooled more slowly than the H5/L5s, an observation that is inconsistent with metallographic studies, which require planetary disruption prior to cooling through Ni-metal closure (modified here to 600 °C). Model results suggest that the phosphate age relationship could still be preserved if a disruption occurred after both H/L5 and Type H/L6 layers fell below ~650 °C. Thus, both Pb-phosphate and metallographic data can be satisfied by an onion shell body that was disrupted after central temperatures of both L and H chondrite parent bodies reached 600-650 °C. 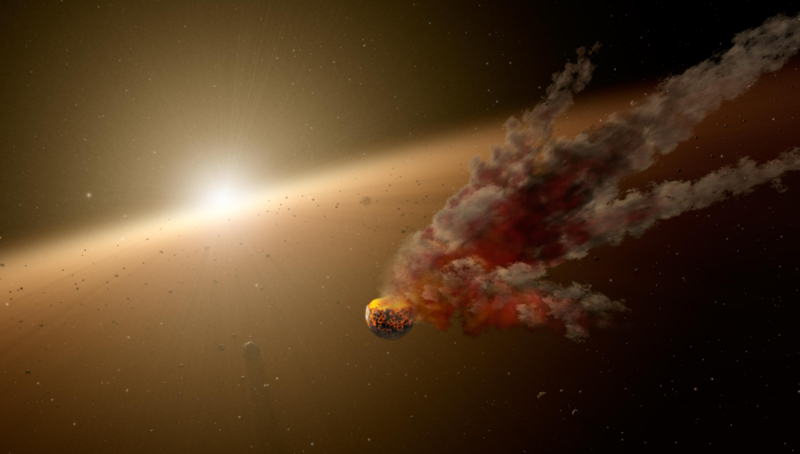 For a 125 to 300km diameter body, accreting at 2.05-2.25 Ma, this corresponds to ~20-50 Ma after Solar System formation a timescale that is consistent with asteroid belt disruption due to the high-velocity injection of material from the lunar forming impact. See where we go for Fieldwork.